"It's amazing how far a teensy bit of stretch goes. 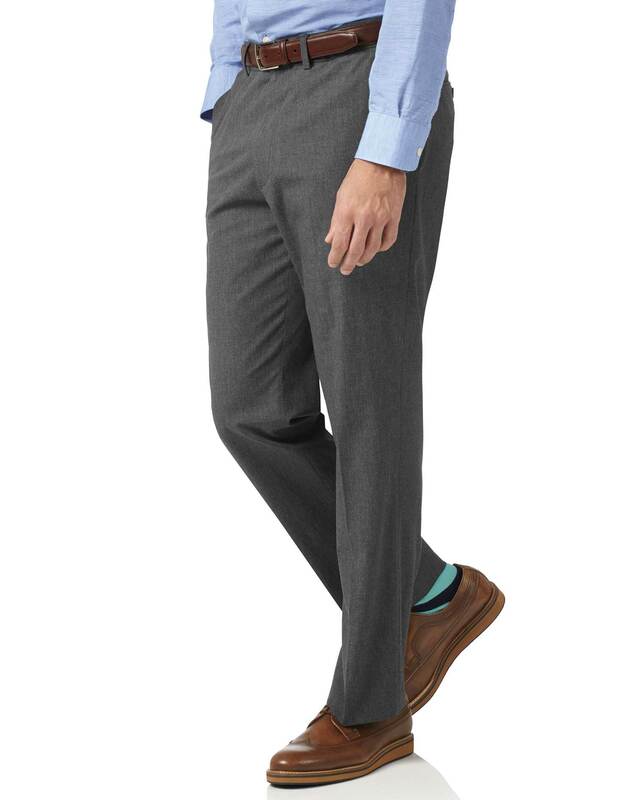 These look like smart tailored pants, but feel as pleasant as pyjama bottoms." 3 months ago The fabric was nice but the waist was much, much smaller than advertised. I would have liked to order another pair in a different size but nothing was available. Response from Charles Tyrwhitt: It's a real shame the sizing on this lovely pair of trousers wasn't quite the perfect size for you, especially as you were clearly very pleased by the style and quality. While we sadly don't have any in a 32" waist, we do have one pair in a 34" if this would be suitable for you. Please just give us a quick call to order these if you would like and we will ensure they are sent with no shipping charge. In the meantime, feedback on the sizing will be passed through to our Products Team to review further.